Ah December, time for delicious fried foods, cozy family get-togethers, lighting the menorah, and a yearly visit to your child’s school to explain Hanukkah. Chances are that if your child attends a secular or public school, you may be invited to teach a short lesson about Hanukkah to their class. If you’ve done this in the past, or every year, you may be getting tired of the same old crafts and cooking demos. If you’ve never had to do this, but you’re on the hook for this year, we’ve got a few tips for helping give an elementary or preschool classroom a crash course in Hanukkah. 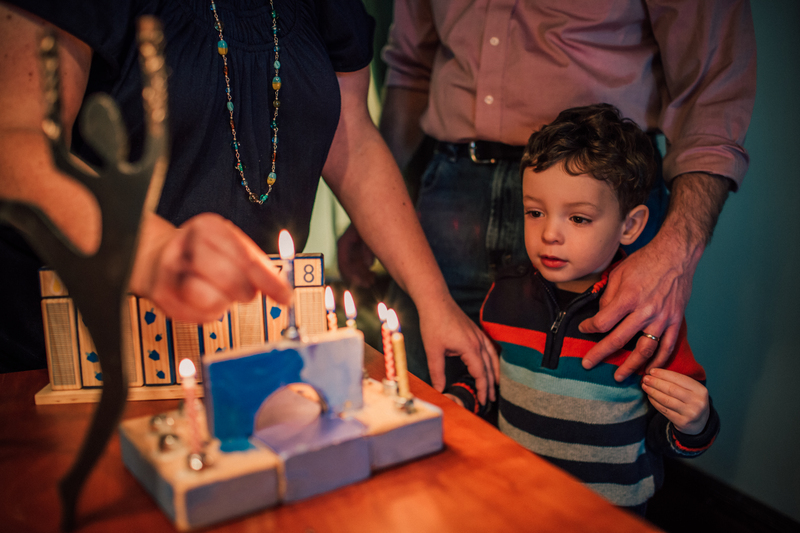 In our quick guide for the “Hanukkah Parent” you’ll find story suggestions and activity ideas for three age groups: preschool, kindergarten, and elementary school. First, give yourself a refresher on the Hanukkah story. For a humorous take for adults and young adults, watch this video from BimBam (formerly G-dcast). You can also head over to MyJewishLearning’s Hanukkah 101 page. In one sentence, Hanukkah, or the Festival of Lights, celebrates the rededication of the Jewish temple after it was taken back from the Greeks in the 2nd century BCE. If you're still not 100% on the ins and outs of Hanukkah, use Tablet's Hanukkah FAQ and you'll be a walking, talking, Hanukkah expert in no-time. (Well, expert enough to convince a classroom of children that you know what's up). Once children are familiar with the story, you can jump right in to some activities. You can also share a classic Hanukkah song with any age group. Print this lyric sheet courtesy of PJ Library in Miami. Children in this age group understand what it means to be brave like the Maccabees. Encourage kids to talk about times that they've been brave, whether by talking to a new friend, going to the dentist, or getting back on their bike after they've fallen down. Hanukkah celebrates liberation from oppression, and reminds us of the importance of freedom of religion. It also teaches us to fight back when people's rights are taken away. For children ages 7 and up, Hanukkah provides a jumping off point to discussions about freedom of expression and current events. For more tips and resources check out Bible Belt Balabusta. Are you the “Hanukkah Parent” at your child’s school? Share your favorite tips and tricks with us on Facebook.